Lord SRI RAMA was born on “Navami Tithi” during Shukla Paksha (Ninth day) of Chaitra month. In his Glory the day is celebrated as “Sri Rama Navami”. While the festival is named after Rama, it typically includes reverence for Sita Devi, Sri Lakshmana and Lord Anjaneya / Hanuman given their importance in Ramayana. 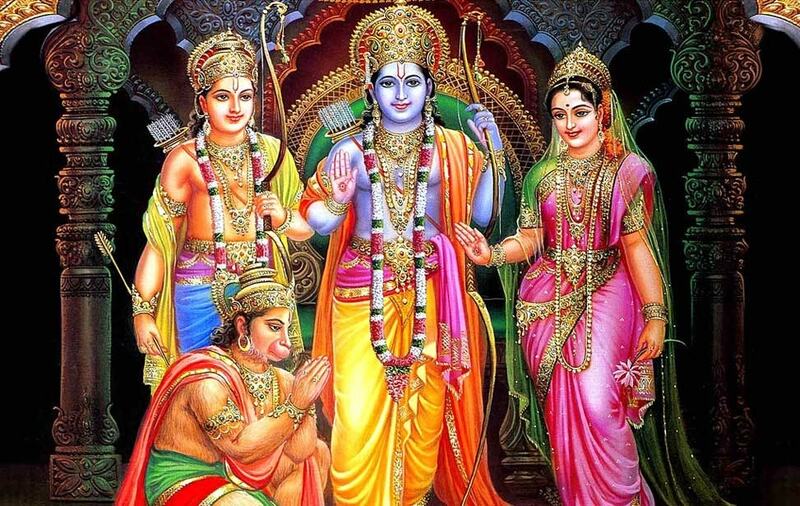 This year “Sri Rama Navami” is being celebrated on Saturday the 13th April. 09.00 AM – Abhishekam for Lord Rama, Sita Devi and Lord Lakshmana, followed by Alankaram and Deeparadhana. 10.30 AM – Abhishekam for Lord Venkateswara followed by Kalyana Utsavam for Sri Rama & Sita Devi. All are welcome to participate and seek the Blessings of the Lords.